Don Booth Service Details - East Liverpool, Ohio | Dawson Funeral Home, Inc.
EAST LIVERPOOL – Don A. Booth, 84, of Riley Avenue, passed away Sunday morning holding his daughters hand, October 21, 2018 at 11:46 a.m. at the West Penn Hospital in Pittsburgh, Pennsylvania. Born in East Liverpool on March 14, 1934, he was the son of the late Kenneth and Alma Dailey Booth and was a resident of the area. He retired from the Booth Tire Company and was a 2nd Lieutenant in Counter Intelligence in the U.S. Army from 1956 to 1959. A 1953 graduate of East Liverpool High School, he attended Eastern Nazarene College, Geneva College, the University of Maryland, and received his B.S. in Elementary Education and a minor in psychology from Kent State University. Following his military service, he was associated with the Retail Credit Company, and was at one time employed at Guarantee Bank & Trust in Denver, Colorado where he attended Loretta Heights College. An accomplished writer, Mr. Booth began writing Western novels in the 1960s because of his love of the works of Zane Gray and Max Brand. He had written dozens of novels about fictitious families and countless other articles and novellas. Also a world champion weightlifter, Mr. Booth won the Gold Medal in the Pan-American Games Masters Championship in 1988. He finished 3rd in the World Masters in Puerto Rico in 1987 and in Vienna, Austria in 1986. In addition, Mr. Booth was the two-time Eastern United States National Combine Champion (Olympic and Power Lift) winning in 1986 and 1987. Prior to that, his accolades included 28 State Championships in the Olympic Weightlifting Competition Masters and Open Classifications, six Regional Championships (and is the only person in the United States to have won two regions in the same year), and was also the Junior National Olympic Weightlifting Champion in 1968 in the 165 pound class finishing with Silver Medals twice previously. He leaves behind a daughter, Victoria Booth of Hookstown, Pennsylvania; a son Brian Booth of East Liverpool; one granddaughter, Ashley Nicole Gloor, and her husband, Addison of Center Township, Pennsylvania; two great-grandsons, Aidan and Austin Gloor; two sisters, Laureen “Cookie” Baker and her husband, Chuck, of East Liverpool, and Mabel Weston of Gavers, Ohio; two brothers, Robert A. Booth and Terry M. Booth, both of East Liverpool. In addition to his parents, he was preceded in death by two sisters, Lilyann Luevano and Gwendolyn Booth; and three brothers, M. Joe Booth, John Booth, and Brian Earl Booth. A memorial service will be led by family members at 1:30 p.m. Saturday, November 3rd, 2018 at the Dawson Funeral Home in East Liverpool, Ohio. The Tri-State Veterans Burial Group will accord full military honors. 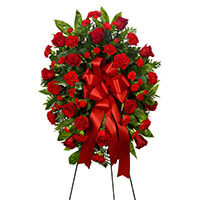 To send flowers to the family of Don A. Booth, please visit our Heartfelt Sympathies Store. So sorry to hear about your loss. I remember Don from many years ago--growing up in Gardendale. Our prayers are with you during this difficult time.